Please check our blog for the latest news and photos from the studio. Magnolia Editions (aka Magnolia Tapestry Project and Magnolia Press) is a fine art studio in Oakland, California. For over two decades we have worked closely with artists to produce and publish fine art projects, including unique and editioned works on paper, artist books, and public art. Primarily a printmaking studio, we have also been working since the late 1990s on a set of techniques which put industrial weaving technology in the service of artists. To date, we have woven editions by artists such as Bruce Conner, Chuck Close, Kiki Smith, Ed Moses, Leon Golub, and Nancy Spero, among others. 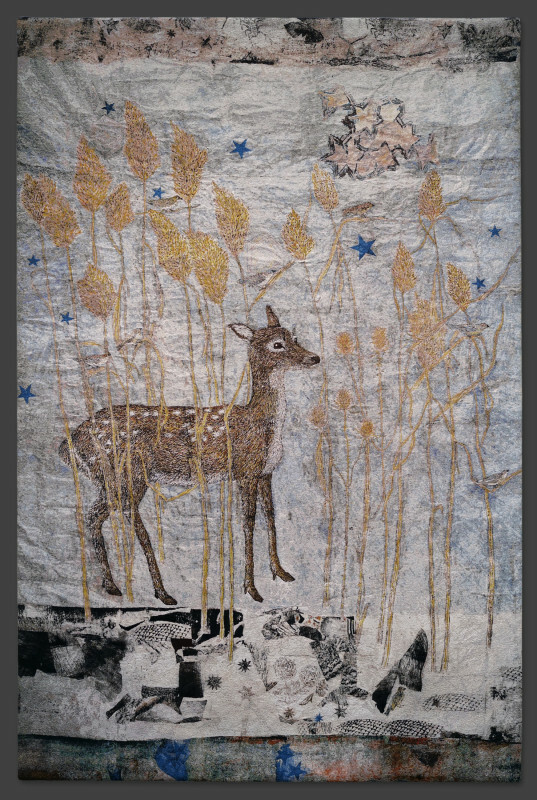 Magnolia Editions tapestries have been exhibited in museums and galleries worldwide including the Whitney Museum of American Art and the White Cube Gallery in London. The studio also continue to explore both traditional and innovative techniques for creating printed work on paper and a variety of media. Our studio includes facilities for etching/intaglio printing as well as various digital printing tools, including a large-scale (8 ft x 4 ft) flatbed digital (pigment) printer which can print on nearly any substrate (gessoed panel, glass, leather, plexiglas, aluminum, raw linen). Artists have used this printer to realize major commissions for the San Francisco International Airport and the Oakland Airport. Other recent projects have incorporated a mix of traditional and digital techniques, such as an innovative digital photogravure method in which a 'resist' is digitally printed on an etching plate. We are always interested in developing creative solutions to new artistic challenges. Magnolia Editions' West Oakland warehouse location includes an old-world handmade paper facility: please visit the Magnolia Paper website for more information.